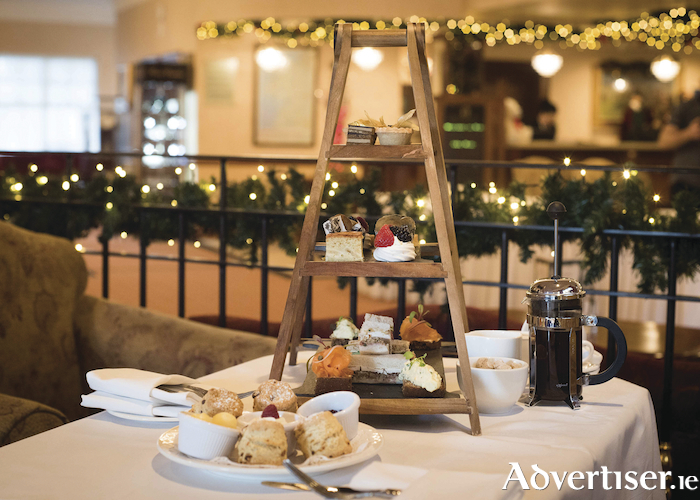 Festive afternoon tea at The Ardilaun, photo by Sita O'Driscoll Photography. The Christmas season is in full swing on Taylor's Hill with festive lunch or dinners available in The Ardilaun hotel for the month of December. Award winning head chef Ultan Cooke and his team have introduced a sumptuous Christmas three course menu with tea/coffee and mince pies from Saturday December 1, all for €25 per person served in The Ardilaun Bistro with larger parties catered for in the Camilaun Restaurant. The Ardilaun Bistro has a new all day menu featuring daily specials with the freshest produce including delicious fish and roasts of the day, power salads, soups, and sandwiches. Traditional carvery Sunday lunch at The Ardilaun is another popular option during holiday season in the Camilaun Restaurant, and is the perfect lunch stop after Christmas shopping at the Galway markets, catching up with old friends, or simply celebrating with family, and is the perfect way to take time out from the hustle and bustle of the city at Christmas time.